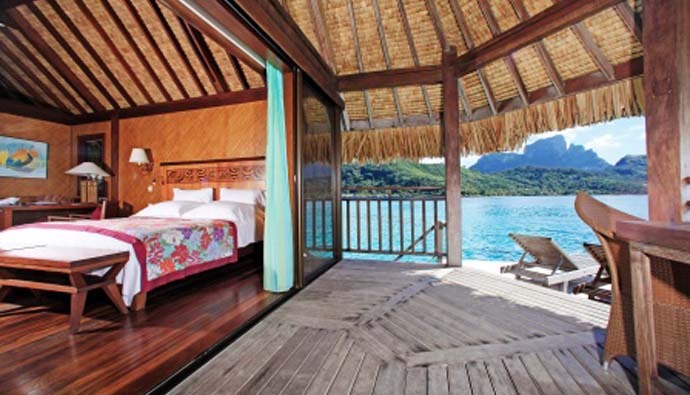 Subtle blend of Polynesian architecture with modern furnishings, these bungalows offer stunning panoramic views on the crystal clear waters of the legendary Bora Bora lagoon and the Mount Otemanu. Nestled among the trees of the Private Island property, surrounded by lush vegetation, they are ideal for couples or honeymooners in love with nature. 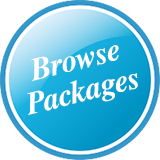 Free added value: Free mini bar (local beers Hinano, water and soft drinks) refilled daily. 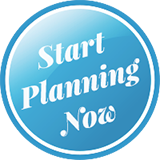 Keep in mind that these units are not suitable for clients with disabilities or walking problems as the pathways to access the bungalows can be rocky. No high heels. 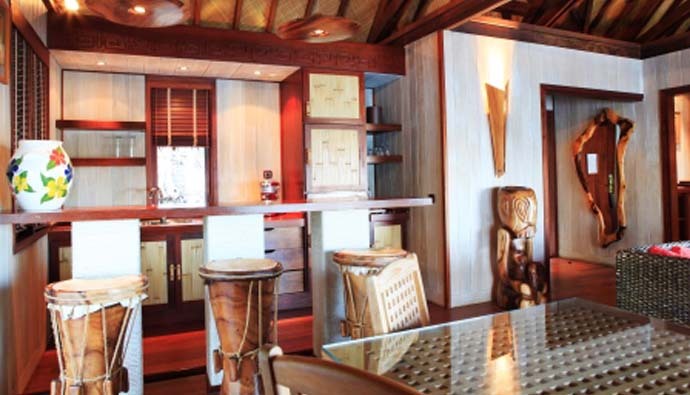 Just as the Luxury Lodges units, these Overwater bungalows have the same interior surface and subtly blend Polynesian architecture with modern luxurious furnishings. Each one however features a glass floor panel and a larger deck with a direct access to the lagoon. Ask for a snorkeling equipment if you don’t want to miss the marine life underneath your bungalow as there are amazing coral gardens scattered in the waters of the property. Ideal for couples or honeymooners, you will appreciate the stunning sunset views from the sunloungers available on your terrace. 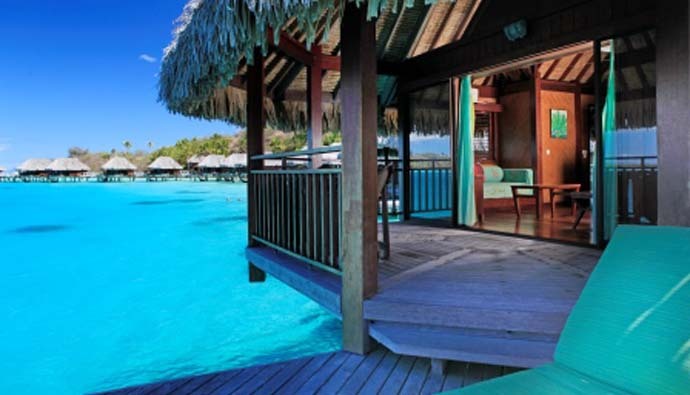 These units are identical to the Luxury Overwater bungalows offering the same interior surface and subtle blend of Polynesian architecture with modern luxurious furnishings. Each one features a glass floor panel and a larger deck with a direct access to the lagoon. These 6 units are located on each side of the end of the pontoon, thus offering an incredible view upon the lagoon of Bora Bora. Exclusive Horizon Benefits: In-Room private Check-In, 1 bottle of Champagne upon arrival, mini bar refilled daily with mineral water & sodas, 1 bottle of water and ice at turndown, tea & Nespresso, VIP Lanvin amenities, 1 hour express ironing, shoe shining, fresh flowers in the bathroom, personalized letter head paper, ‘On Call’ dedicated concierge. More Info: Interior 33m2 + Deck 22m2. Water depth around these bungalows may vary from 1m30-1m50 to 3m. Additional Facilities: Private Ladder to Lagoon, Expresso Coffee machine. Indulge a romantic escapade within the islan’s sole deluxe villa. 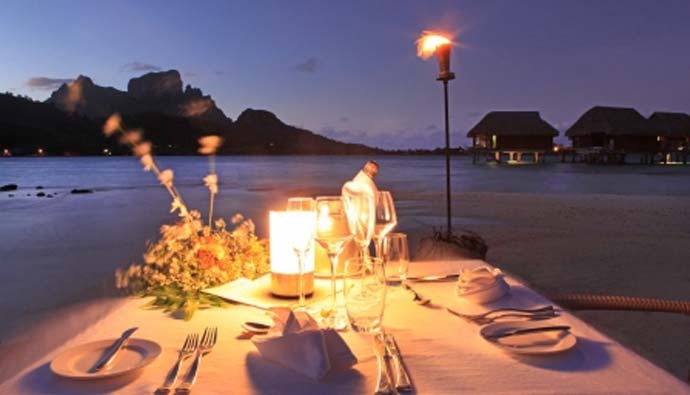 Every elements there are combined to make you spend a memorable moment in Bora Bora. 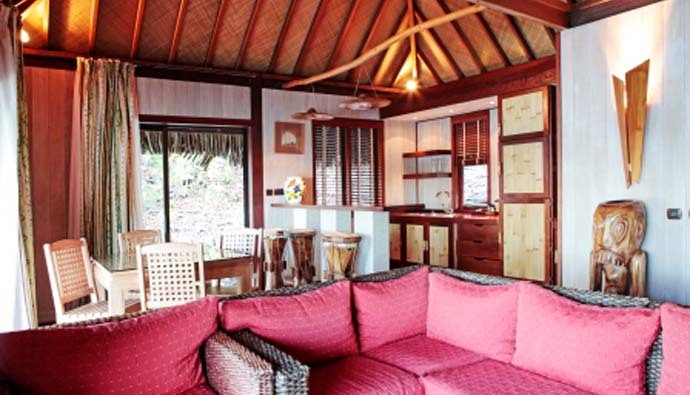 Located close up to the beach in a totally wild natural environment the island luxury villa features a private jacuzzi along with a comfortable and modern interior. Guests will have the pleasure to enjoy the deluxe “My Bed” features, along with reknowned branded amenities garnishing the bathroom (Maison Lanvin). 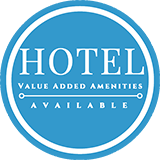 Additional Facilities: Expresso Coffee machine, Private Jacuzzi. 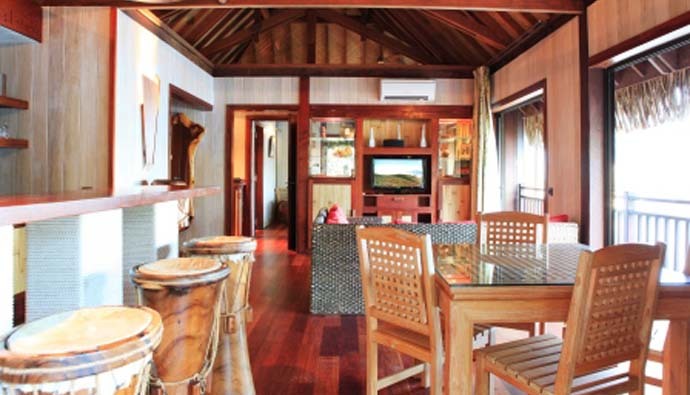 MANU TUKI (50 seats) Stunning panoramic view of the lagoon and the main island. The restaurant inspires itself with the simple and exotic flavors of the Pacific to make fine cuisine. 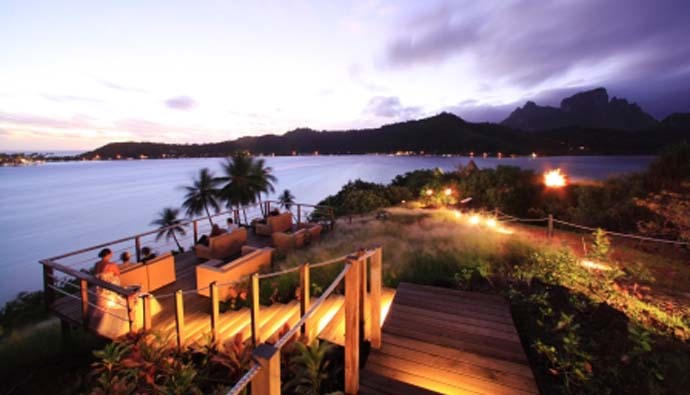 The Soirée Romantique of the Private Island starts with a sunset champagne on top of the hill with a panoramic view on the lagoon of Bora Bora and the Otemanu Mount. Followed by a 3-course gourmet dinner served right on the beach (beverage excluded) with a Polynesian show (weather permitting and with a minima of 3 tables reserved). Clients staying at le Marara can also attend the Soirée Romantique. Supplement to be booked and paid on location. Room service Not Available on Half Board or Full Board meal plans. THE MAKO BAR (20 seats)Situated on a panoramic terrace overlooking the lagoon, sunset side, with outdoor terrace. Cigar selection. A new concept of Holistic Spa is available on the Private Island for massages and treatments in the intimacy of your own bungalow or directly in the lagoon delighting to the sounds of the crystal water. Yoga and Taï Chi classes available on request and on site only. Romantic Wedding – a Traditional ceremony with a tahitian priest on top of the Private island’s hill overlooking the turquoise lagoon. 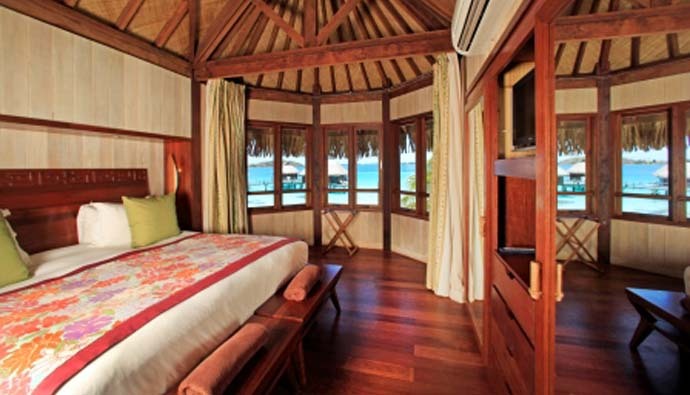 Boutique hotel of 31 bungalows, the Sofitel Bora Bora Private Island is the ultimate escape for a holiday away from it all. 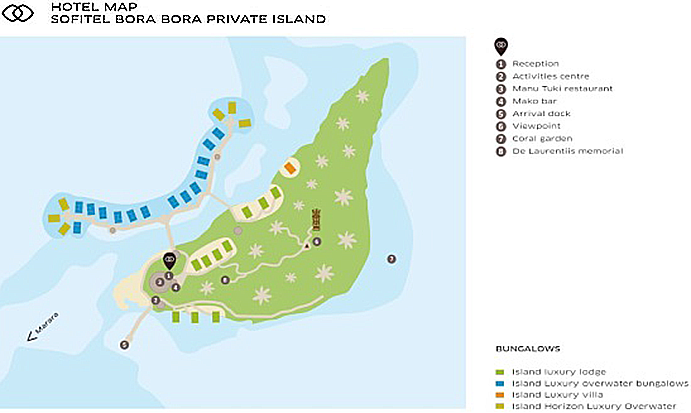 It offers a unique location on Bora Bora with its panoramic 360° view on Otemanu Mount and the turquoise lagoon. 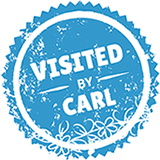 Settled on a private islet, near the most beautiful coral garden on the island, your stay will make relaxation rhyme with pleasure. Ideal for couples and honeymooners searching for the ultimate, private retreat. 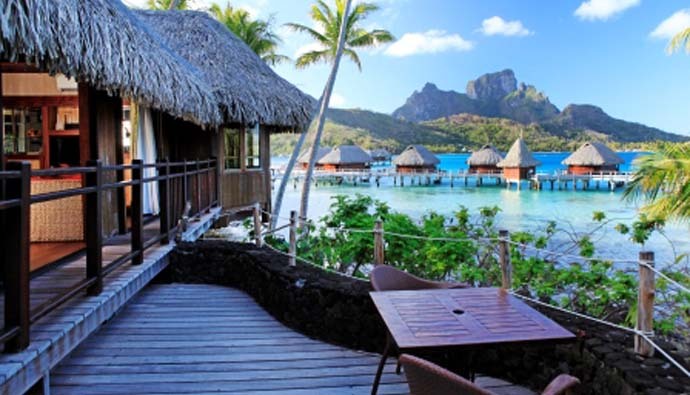 A boutique resort on its own motu where you can enjoy some of the best snorkeling in Bora Bora and incredible sunset views from the top of the motu that are not to be missed.